The International Fellowship of the Least Coin is a world-wide ecumenical movement of prayer for peace, justice and reconciliation founded by Late (Dr) Shanti Rajeshwari Solomon of India in 1956. Through this movement International Christian women around the world seek fellowship with each other and are reminded to live a reconciled, forgiving and dignified life within different cultures and societies. The International Fellowship of the Least Coin is presently working in more than 100 countries supporting women projects annually for the empowerment of women enabling them to play vital role in decision making bodies in their own communities and countries. But in Shanti’s own country India still women are kidnapped, stripped and raped in broad day light and murdered. In certain societies yet young women are not allowed to get marry of their own choice and their voices are being silenced (murdered) by their own parents or relatives in the name of honour killings. Despite stringent laws against female foeticide millions of girls are being murdered in their mother’s womb annually in India. During her forty two years of committed international church ministry, Shanti worked unceasingly for the upliftment and empowerment of the women in India and abroad as an ordinary Indian Church women leader. She fought for the fundamental rights and dignity of women and brought peace, social justice and reconciliation in the every continent of earth. She has millions of her admirers at present around the globe, who have directly or indirectly been touched by her simple but honest approach to life. 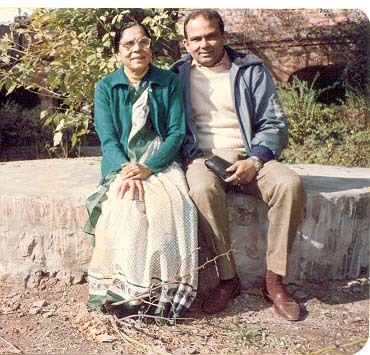 Behind her Shanti left a big legacy of the International Fellowship of the Least Coin’s old films, posters, medals and other material of great significance which she earned during her forty two years of dedicated International Church ministry. Her invaluable credentials, writings, diaries, her photos from around the globe where she walked and worked among different downtrodden people groups and cultures. Her awards and degrees she had been honoured with from honourable national and international organizations during her life time for her commendable work done for social justice and peace are momentous and of great significance AND now are being treasured at “Shanti Solomon Memorabilia” (A Unit of Voice of Christians Ministries India) in India. We at Voice of Christians Ministries India working out on a PROJECT for “Shanti Solomon Memorabilia” to digitized and preserve in digital format Shanti Solomon’s most invaluable credentials, handwritten letters, diaries, memoirs, her degrees AND her most incredible International Church ministry photographs and the Least Coins of the different countries, Shanti Solomen visited and collected during her forty two years of (1956-1998) Church ministry around the globe. These are at present confined in her DIARIES, LETTERS and FILES at “Shanti Solomon Memorabilia” in India. We challenge and invite the friends and well wishers of “The Fellowship of the Least Coin” and “Shanti Solomon Memorabilia” around the world to come forward and help us through their ideas, thoughts and material they have to make this PROJECT as big success. Kindly pray for our financial support as well. We shall be highly indebted for your contribution.